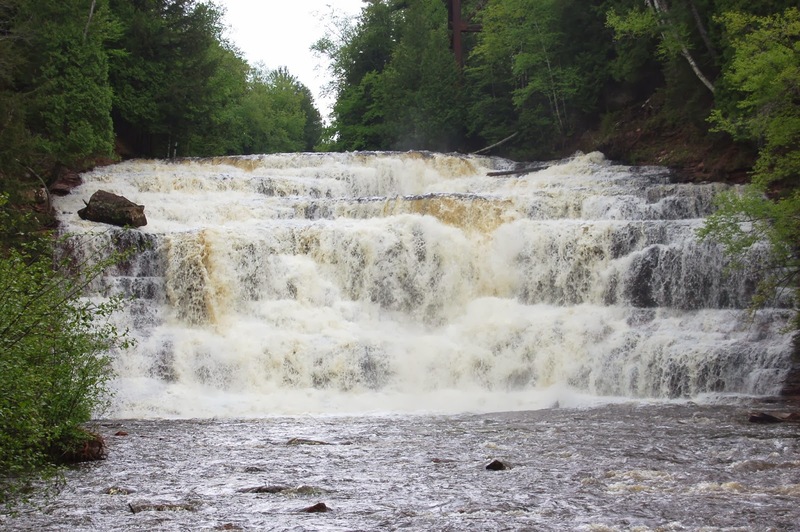 Easily accessible from a roadside park off of M-28 in Michigan’s Upper Peninsula, Agate Falls should not be missed. 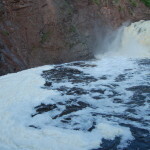 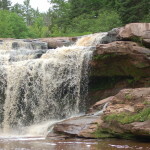 Only a handful of other falls in the state can come close in height or width, and while reaching the base of the falls requires some extra hiking on a narrow path down the hill, it is more than worth the effort. 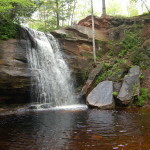 The parking area for Agate Falls is on the south side of the highway, and the trail is wide, paved and almost immediately heads under the road and heads into the woods. 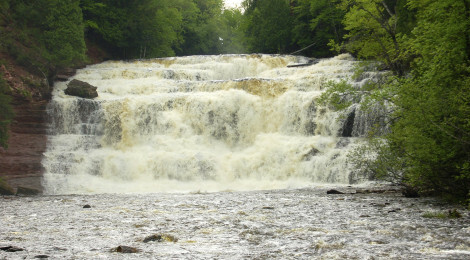 It’s easy to hear the falls, and views of the river are plentiful through the trees. 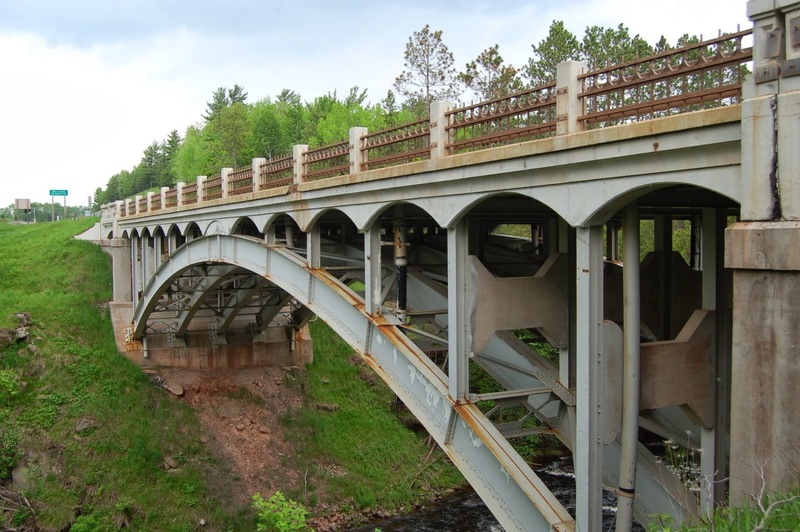 After maybe a quarter mile, you will reach an old train trestle and shortly after that a viewing platform. 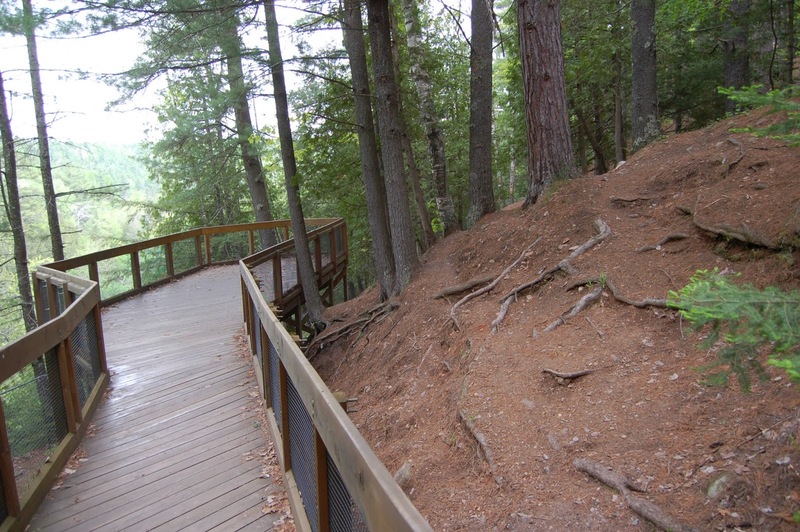 Stepping back about ten feet and looking off to the right, there is a well-worn path in the dirt between the trees. 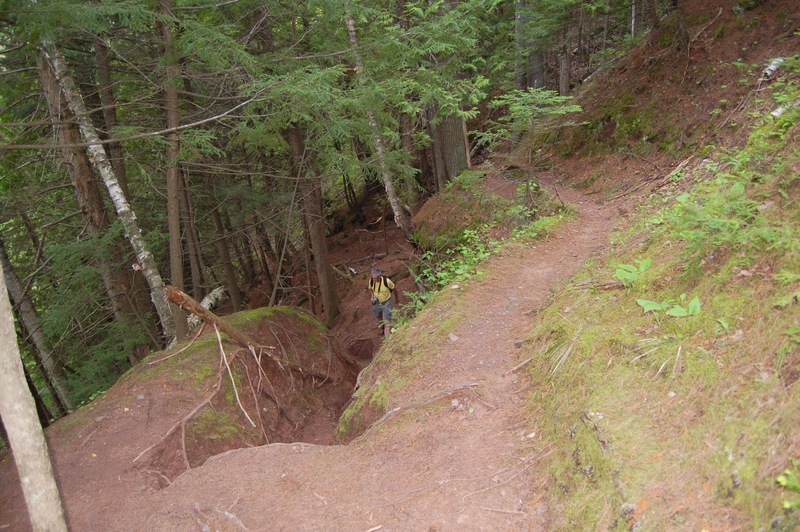 This won’t be easy going, as it is mostly downhill and there are roots to avoid, but if it is dry and proper caution is used there is no reason to worry. 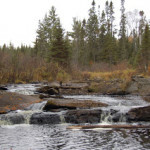 If water levels are high, there may be a need to hop over some standing water and sometimes the mosquitoes are quite thick. 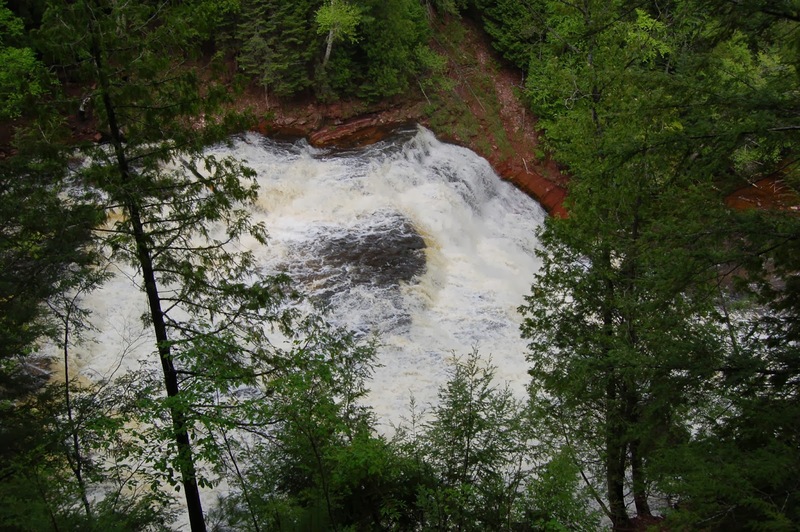 We’ve been fortunate to pretty much have this lower part to ourselves the past two times we were there, making for some breathtaking views as the middle branch of the Ontonagon River drops 40 feet over sandstone ledges. 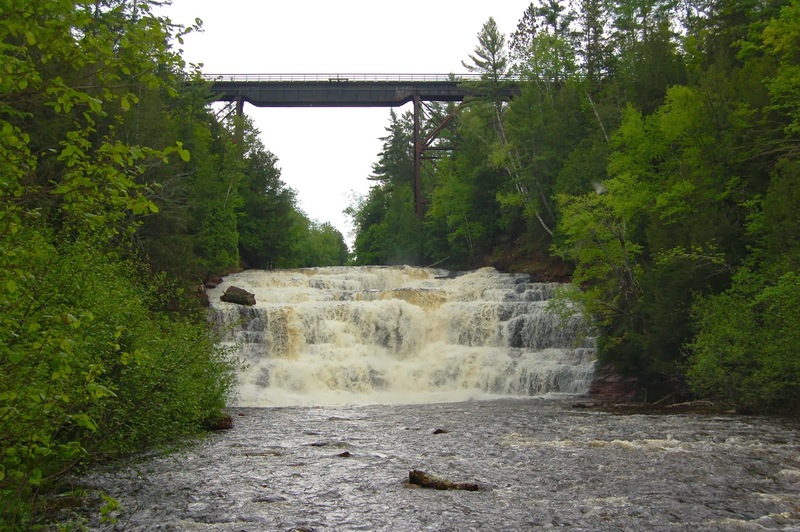 It’s pretty easy to see why this waterfall used to be featured on postcards, and why it remains a popular stop to this day no matter the season (the trestle bridge is part of a snowmobile trail). 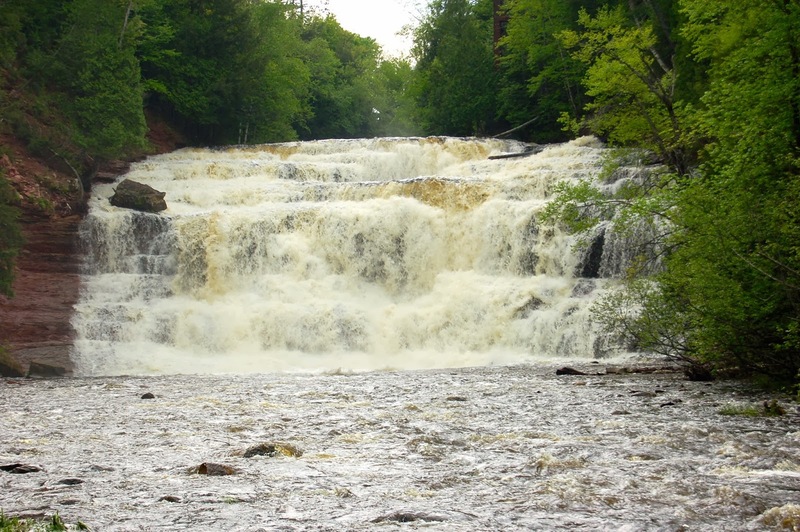 Directions: The parking area for Agate Falls is just off M-28, four miles west of Trout Creek and about 6 miles east of M-45.